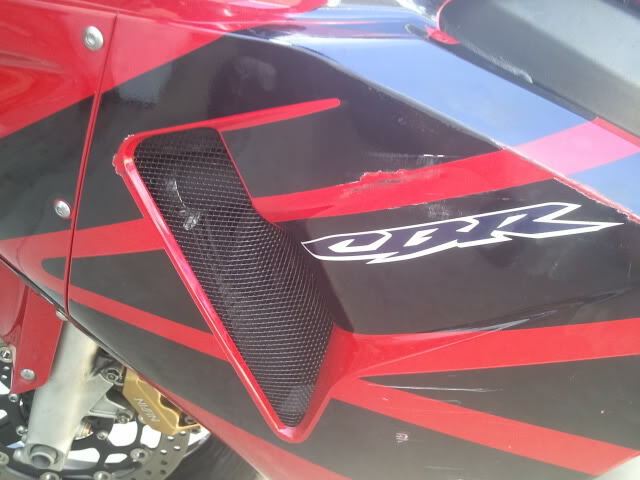 Ok so to start off this is my first how to so its nothing super hard and it might have a little rough spots..
ok so in this how to im installing plain black wire mesh in these spots on my bike, both sides of course. for the mesh i went to walmart and just bought a wire trash can, around $8 i think. 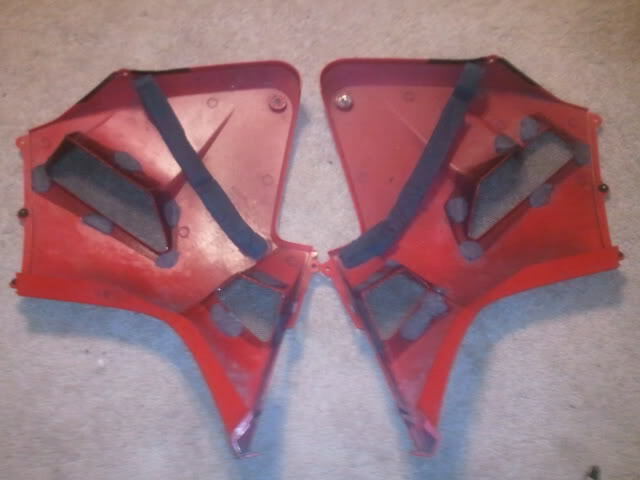 now to start you need to remove both side fairings by removing all the bolts, didnt take pictures of this because its pretty much common sense. 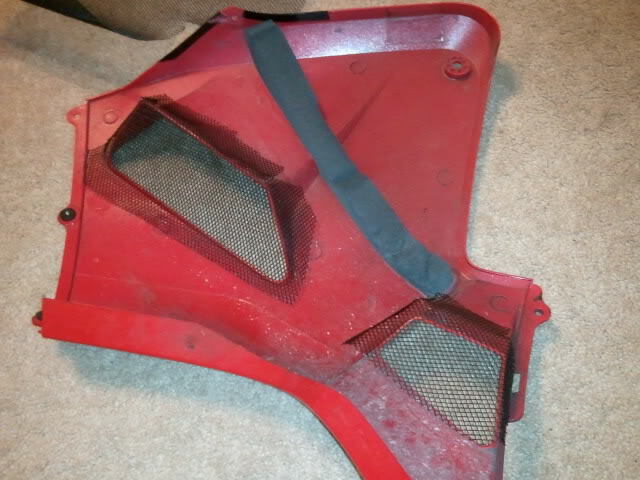 take your wire mesh (or trashcan ) and side it our for the hole on the back of your side fairings but leave enough room so you can trim up access and have enough on the sides for the adhesive to bond to. 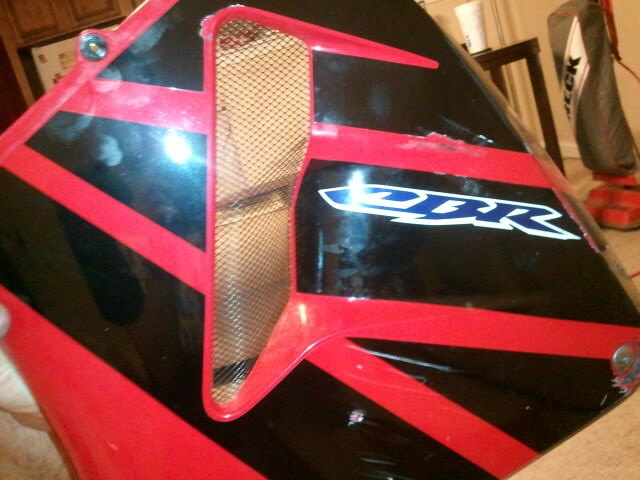 next trim your mesh piece to size, and make sure that you get the fitment you want on both fairings and then start to prep your adhesive. depending on the adhesive you buy dictates your next step, mine i had to combine the two compunds together and place them where i wanted. this is where the clamps would come in handy. the mesh wants to come up off the plastic so i would recomend putting your adhesive down and then clamping it till it sets. 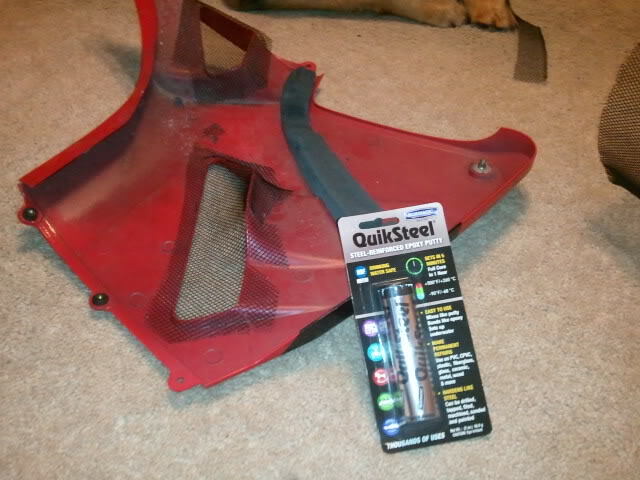 place the adhesive where you want it and start securing the mesh! clean up any residue you have left over an make any final touches you want to make and stand back and admire. when mounted these look AMAZING. and i'll post pictures of these mounted tomorrow if the weather is nice, bike is sitting in the garage for now. before you put these back on i would recommend checking your coolant level as mine was low D: hoped someone got some help from my post. let me know what you think. Looks good. Couple of notes I'd add. Make sure your plastics are super clean. Use some solvent everywhere you'll be using the epoxy or whatever. In fact you may want to even scuff the surfaces first to ensure a good bond. 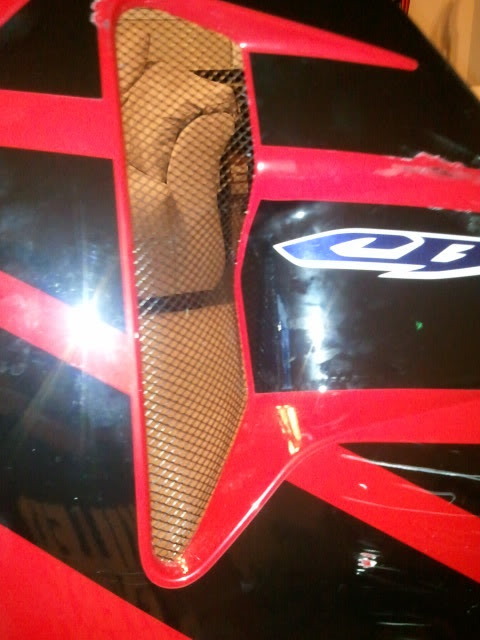 I've seen these mesh jobs come apart on the road and there can be dangerous results to you and your bike as well as the people behind you. Also, you may notice that most of these types of mesh have a "grain" and generally it looks much better if you align that grain either with the lines of the bike and at least with the other pieces of mesh used on that side. Its just a cosmetic issue but once you notice it, you wish you did sooner. +1 on this, forgot to mention it in the original post but i took some 60 grit sand paper and roughed up where i was going to be putting the adhesive. and making sure the area is clean is super important or like zaqwert said... you'll have a projectile coming down the road eventually. dammm. well i just went for a ride and got the engine nice and hot, they seem to be holding up pretty well, only time will tell though. 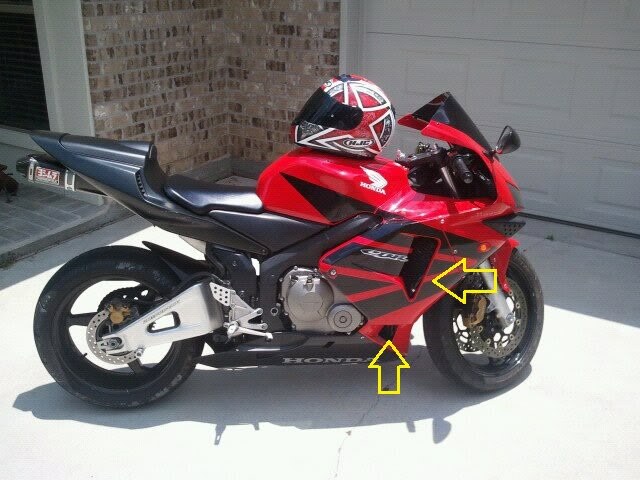 looks good, I might have to do this to my new fairings before they go on the bike. 03 600RR rear brake light switch wire routing?